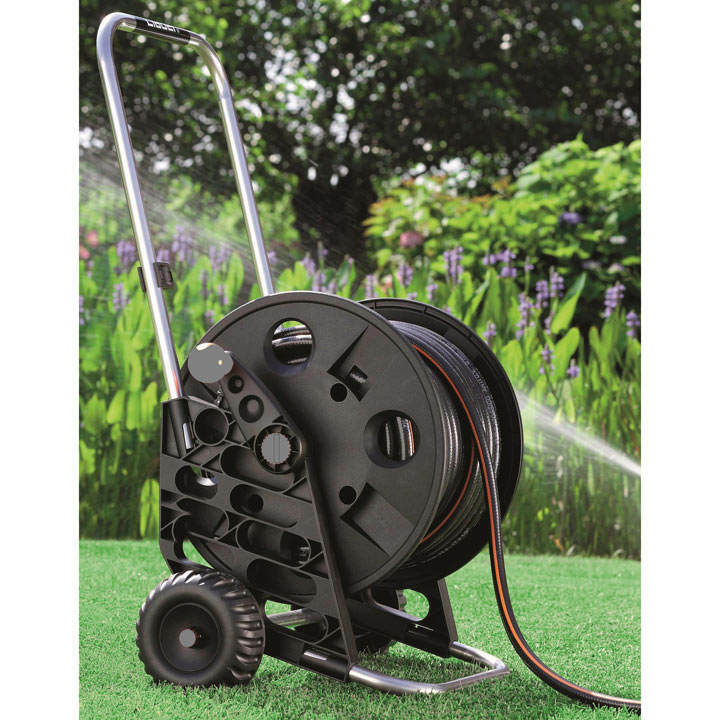 The Claber Genius Pronto 30 Kit, complete with 30 metres of hose, couplings and nozzle, will certainly meet the requirements of a medium-sized garden. The anodised aluminium frame is stable, light and totally rust-proof. The coil winding drum has a wide circumference that prevents hose from twisting. Easy to assemble, no tools required. Includes 1.5m (5') tap extension hose, spray nozzle, set of couplings, and 30m (98') of ½" hose.